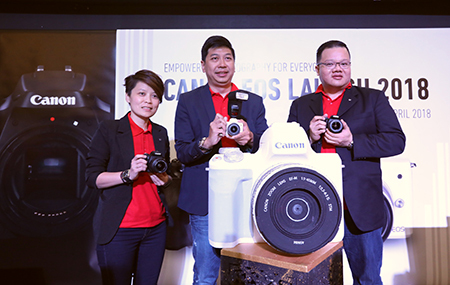 KUALA LUMPUR, 18 DECEMBER 2017 – Canon Marketing (Malaysia) Sdn Bhd recently announced the availability of the PowerShot G1 X Mark III, the newest addition to its range of compact cameras, to Malaysians. It is the first Canon compact camera equipped with Dual Pixel CMOS AF and an APS-C sized CMOS sensor, the largest imaging sensor in its compact camera lineup. This latest addition marks a new technology milestone. Mr. Andrew Koh, CEO & President of Canon Marketing (Malaysia) Sdn. 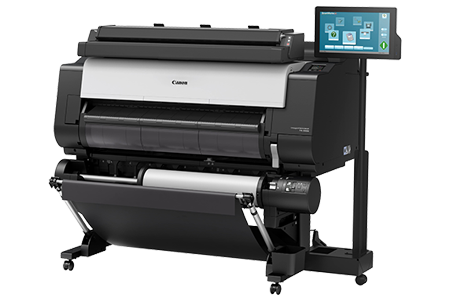 Bhd said that as the imaging solutions leader, part of Canon's commitment is to keep consumers up to date with the latest technology available to them. "With the addition of the PowerShot G1 X Mark III, we expand our compact camera segment up to provide consumers with a wider range to choose from," he said. Equipped with DIGIC 7 image processor, the PowerShot G1 X Mark III raises the bar in imaging technology. Designed with a 24 - 72mm (35mm film equivalent) f/2.8 - f/5.6 IS lens with 3x optical zoom, the camera is capable of capturing a wide range of subjects and achieving shallow depth of field. Featuring a vari-angle touch panel packed in a durable and compact body, the PowerShot G1 X Mark III also boasts of a high resolution EVF (Electronic View Finder) of 2.36 million dots. Weighing approximately 399g (CIPA compliant) the PowerShot G1 X Mark III is the perfect companion for adventure seekers and underwater photographers alike. Koh added, "As advocates of photography we hope that through the constant introduction of these new products, more people are encouraged to embrace the art of photography. There is no better way to end the celebrations of our 30th year anniversary in Malaysia than with the introduction our newest flagship compact camera, the PowerShot G1 X Mark III. It's a true testament of the innovation Canon offers to the photography world." Mr. Jeffrey Kung, Head of Consumer Imaging & Information Division, Canon Marketing (Malaysia) Sdn. 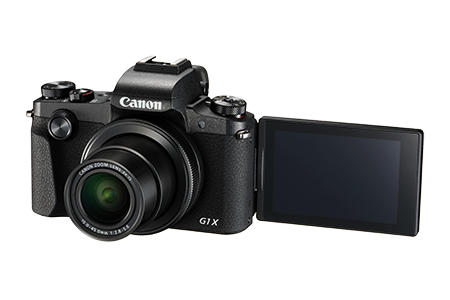 Bhd, also said that the new PowerShot G1 X Mark III features two firsts for Canon's range of compact cameras - an APS-C sized imaging sensor used in DSLR cameras, and Dual Pixel CMOS AF. "This technology rewards users with even higher image quality and unprecedented high-speed AF with the convenience of a compact camera. The PowerShot G1 X Mark III is the perfect all-rounded camera which embodies the spirit of a DSLR in a compact yet sturdy frame, making it the perfect partner for travel adventures and diving trips," Kung concluded. The latest DIGIC 7 image processor underpins various enhancements on the PowerShot G1 X Mark III to deliver on-point performance in speed and image quality. With the built-in noise reduction technology, users enjoy enriched image clarity with suppressed noise, even at high ISO speeds, making the PowerShot G1 X Mark III ideal for outdoor shots or night scenes. Enhanced with an improved subject tracking performance, the sharp shooter ensures that fast actions and movements can be captured with stunning speed and ease. When tracking a moving subject, the camera is able to detect changes in its size and orientation, regardless of other subjects in the background. Additionally, subjects that blend in with the background or have low colour saturation can be easily identified with the high-precision subject detection feature, even under low-light conditions. With Dual Sensing IS, taking pictures or capturing stable video footages on the move will be a cinch. An algorithm was developed to minimize blurring and thus achieving image stabilization with high precision, even with significant camera shake due to body movements. The Auto Lighting Optimiser function corrects dark areas for clearer contrast and high image clarity in backlit conditions. When shooting with small apertures, the high processing performance on the DIGIC 7 image processor ensures that diffraction is suppressed to achieve image clarity. A new panoramic feature will delight photographers with the ease of capturing captivating wide-angle panoramic shots by a simple horizontal or vertical swivel of the camera. This also allows photographers to have better resolution images; larger and more detailed prints, along with more cropping ability in post-processing. A first in a Canon compact camera, the PowerShot G1 X Mark III is equipped with the Canon-developed Dual Pixel CMOS AF, allowing the camera to achieve unparalleled high-speed AF. With an estimated 24.2 million pixels functioning as phase difference sensors, users enjoy fast and smooth focus, be it when capturing moments or shooting movies. Even in dimly-lit conditions, high precision and superior quality are also achieved. The PowerShot G1 X Mark III is capable of attaining continuous shooting speed of 7fps during AF tracking and 9fps during AF fixed. With its intuitive Touch & Drag AF function, users will be able to touch and shift the focus points while looking through the electronic viewfinder, which makes capturing that prized moment much easier. This feature is especially useful as it enables faster and more precise focusing in various scenarios, such as capturing images of moving children or animals, or keeping up with subjects when shooting movies. Users can challenge their creativity with PowerShot G1 X Mark III's movie shooting function, which captures a wide range of video expressions at a smooth frame rate of 60p in Full HD. Powered by Dual Pixel CMOS AF and coupled with features like the touch panel, and built-in stereo microphone, users can shoot movies like a professional. The camera's intelligent tracking function ensures sharp footage, even when both the user and the subject are moving. Despite housing a larger sensor and a built-in Electronic Viewfinder (EVF), the PowerShot G1 X Mark III stays incredibly compact. In fact, it is approximately 27% (CIPA guideline) lighter compared to its predecessor - PowerShot G1 X Mark II, with a form factor comparable to the PowerShot G5 X.
Fitted with a 2.36 million dot OLED screen, photographers will appreciate a better representation of the image reflected by the camera sensor. Users can enjoy a high level of clarity right to the edges of the screen, and at the same time, not worry about interference from glare. With its vari-angle LCD touch screen, users can experiment with different angles by flipping the screen horizontally and tilting the screen vertically, which can come in handy when taking selfies. With Wi-Fi and NFC connectivity, users can easily pair the PowerShot G1 X Mark III to their smart devices for ease of sharing images and videos on their social media platforms. The Canon Camera Connect app also allows users to have real-time control of camera settings. Additionally, the built-in Bluetooth low energy technology maintains constant connection to a compatible smart device at low power consumption. With this constant connection, users can view images and start remote capture from the camera even when in Auto Power Off mode. Paired with a compatible Canon underwater casing (WP-DC56), users are able to capture the intrigue of the underwater world up to a depth of 40 metres in high clarity. 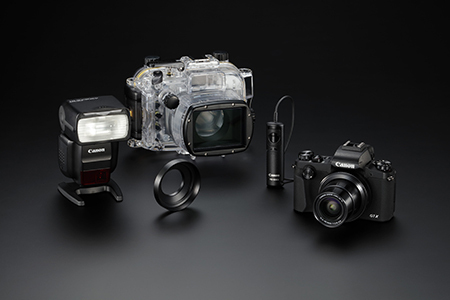 The PowerShot G1 X Mark III makes an excellent companion on diving trips as it is equipped with a number of features for underwater photography and movie shooting. Users can correct white balance using the underwater scene mode, with the effects matching that of a commercially available colour-compensating filter. They can further fine tune this balance or even customize their own white balance setting. With underwater macro shooting available, users can now take up close shots of the fascinating marine life. Built for versatile use and durability, the camera body is dust and drip-proof for adequate protection from moisture and dust. The Canon PowerShot G1 X Mark III is now available at all Canon Image Squares and authorized retailers, and the Canon Official Store on Lazada Malaysia (www.lazada.com.my/canon-official-store) at RM4,799. Optional underwater casing WP-DC56 retails at RM1,599.